In the four years since Team USA won Olympic gold in Beijing, the experience has taken on near-mythic weight as it applies to the players' involved. It was supposedly the birthplace of the idea that became the star-laden Miami Heat, as well as an important moment in the careers of superstars including Kobe Bryant (who regained much of the goodwill lost during his sexual assault trial and his years as a solo scorer with the Lakers), Carmelo Anthony (who simultaneously gained a reputation as a great international scorer and less-than-elite superstar), and Jason Kidd (who turned from slow, old liability into steady veteran hand capable of winning a championship, which he did a few years later). 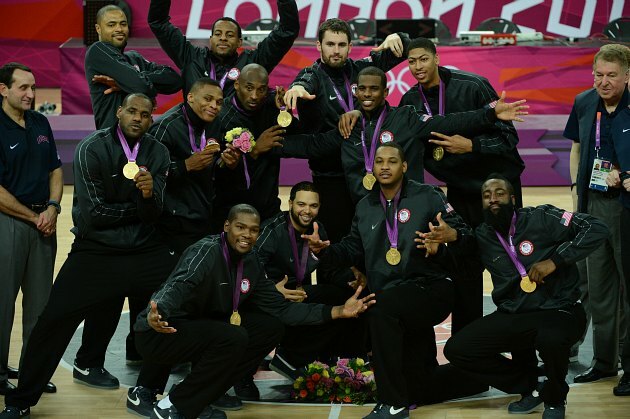 That group wasn't only the Redeem Team fighting for American honor — they also made the Olympics a major part of an NBA player's career path in a way they hadn't been for more than a decade. Team USA's triumph over Spain happened only one day ago, but we can already start to wonder how the experience will change our opinions of the players involved. With that in mind, we present Ball Don't Lie's Team USA Reputations Index, an inexact consideration of what has changed now that each of these players owns a gold medal from the 2012 Olympics. LeBron James: A certain number of people will always be put off by the antics of "The Decision" and LeBron's much-predicted and in many ways preordained status as the best basketball player in the world. However, everyone else is becoming a lot more comfortable praising James without reservations, and with good reason. It's hard to imagine a player having a better Olympics — LeBron did everything, from chasing down opponents for highlight-reel blocks to facilitating the offense from both the perimeter and post to taking over the scoring load whenever Team USA was in trouble. 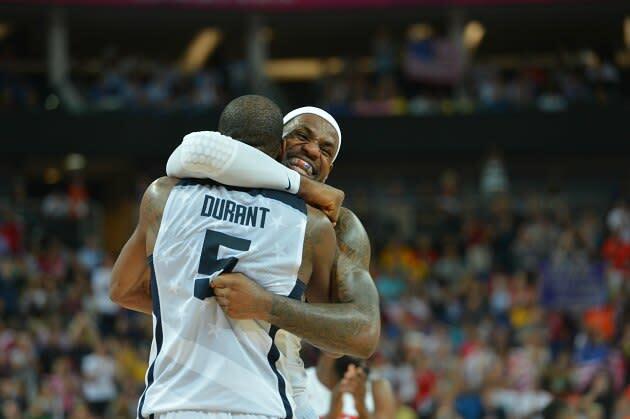 In broad terms, this gold medal will mean little to LeBron's reputation if the Heat disappoint in the 2013 postseason. For at least one season, though, he'll be the toast of the basketball world, praised by media and the majority of fans at every opportunity. His magisterial performance in London only cemented that fact. Kobe Bryant: For most of the tournament, Kobe was not at his best, struggling to make shots with any consistency and having defensive issues after acting as Team USA's appointed perimeter stopper in Beijing. A few strong performances in the medal rounds helped salvage his Olympics — particularly his 20-point second half against Australia in the quarterfinals — but Bryant still shot only 42.9 percent from the field and finished with more turnovers than assists. He typically wasn't involved in game-breaking runs, and many expert observers saw his performance in London as validation of the growing opinion that he's no longer among the top superstars in the NBA. On the other hand, the Dwight Howard trade and the Lakers' subsequent ascendance to the league's trio of legitimate title contenders means that Kobe leaves the Olympics more relevant than he was when they started. In that context, this gold medal helps solidify his venerable status as the NBA star who's seen it all, the old timer who stays on top with a combination of craftiness and a not-insignificant level of remaining talent. Kobe is now as triumphant as he's been since the Lakers won the championship in 2010, albeit not necessarily because of the quality of his recent play. Chris Paul: The vast majority of sensible NBA fans believe that CP3 is the best point guard in the game — that question hasn't really been in doubt for several years. Yet, despite his peerless management of tempo (often within the same possession) and great feel for where other players are on the court, Paul has had difficulty graduating from his reputation as a young, learning player to that of the entrenched master. In part, that's because Paul's Hornets teams weren't always the most competitive groups, and playing for a likely perennial postseason outfit in the Clippers should change that. In this Olympics, though, taking over for Jason Kidd as Team USA's acknowledged floor general, Paul has clearly become widely known as a basketball genius with a veteran's sense of the moment. He had several huge baskets in the fourth quarter of the gold-clinching win over Spain and had several of the most amazing highlights of the tournament (though his best, a fake into a no-look dish around an Argentinian defender to LeBron James in the last game of the preliminary round, will be forgotten due to LBJ's immediate miss and the efforts of NBC's legal team). After these two weeks, everyone now knows that Chris Paul is in total control of everything associated with playing the point guard position. Tyson Chandler: As Team USA's lone center, Chandler was tasked with great responsibilities versus big-heavy teams like Spain and ... well, they didn't really play anyone else with multiple post threats. Yet, while Chandler averaged only 11.25 minutes per game and Coach K seemed perfectly happy playing LeBron James or Carmelo Anthony as de facto centers, Chandler nevertheless ends the tournament better thought of by basketball fans simply because he was the only center on this roster. Even if only in theory, he was entrusted with great responsibilities, the lone post defender who could beat back Spain's bevy of interior warriors. As it applies to the NBA, this importance means that Chandler is the New York Knick most likely to be considered a victim whenever conservation turns to the franchise's dysfunction. Kevin Durant: When a player leads the NBA in scoring for three consecutive seasons, it's difficult to imagine that his reputation as a producer of points could actually improve. However, Durant was so fantastic in his eight games — breaking the U.S. record for points in an Olympics and winning the tournament scoring title — that it's only going to become easier to mention him as one of the best scorers in history, not just in this era. We didn't really learn anything new about Kevin Durant in this tournament; he just continued to establish that he's a historically great player worthy of all the praise he receives. 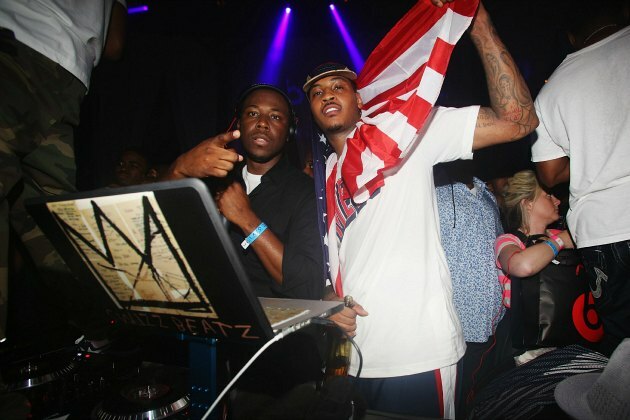 Carmelo Anthony: With every successive international tournament, more people believe that Melo is better for Team USA than in the NBA. This time around, his national-record 37 points versus Nigeria and 50 percent shooting from the shorter FIBA three-point line made him one of the gold medalists' most potent and efficient scorers. Oddly, Anthony's designation as What's Wrong With the Knicks makes him one of the few players for whom a strong Olympics makes his domestic career look worse. In the wake of his impressive play, many have wondered if Melo is really cut out to be a first option or why he can't score this well with this few shots in an NBA uniform. He can do little right these days, and that reaction probably won't change until he brings tangible success to Madison Square Garden. Deron Williams: Along with Chris Paul, Williams formed the backcourt of Coach K's security blanket lineup, a ball-control group that saw the court whenever a blowout threatened to become a game or Team USA needed a steadying influence. Unfortunately for Williams, that's the kind of role that basketball insiders notice but that doesn't lend itself particularly well to a steady narrative. Despite playing quite well, Deron did very little to change prevailing opinions about his place in the contemporary NBA. He's still one of the league's best point guards, and he's still not quite as good as Chris Paul. I guess he'll have to settle for his second gold medal. Kevin Love: In Team USA's short schedule of exhibitions, Love could barely get off the bench, which suggested that he was a poor fit for this particular style despite seeming very well suited to the international game. Once the real games started, though, Love played a key role for the Americans, dominating the glass with 61 rebounds (27 offensive) in 138 total minutes and 63 percent shooting from the field. Simply put, Love forced himself into the lineup through the quality of his play. That should put the lie to any arguments that his gaudy stats are empty for a bad team in Minnesota, or that he's lacking some essential ability to raise his game to a superstar level. Love proved that he belongs on the court with the best players in the world, no matter the system. Russell Westbrook: After the many losses suffered by mid-00s incarnations of Team USA, commentators have focused on how this new group of players has come to respect the international style and adjust their games accordingly. I think we tend to overrate that need to change, and no player proves that situation better than Westbrook, who usually doesn't even look like he's figured out the NBA, let alone a separate form of basketball. Throughout the tournament, Westbrook played with the same breakneck, effectively wild style that's made him so good for the Oklahoma City Thunder. He was good enough to save himself from scorn, averaging 8.5 points per game on 47.8 percent shooting and dishing out 13 assists against seven turnovers. Westbrook is still going to have his detractors, but every time he helps his team to considerable success it's going to become harder to argue that he should change his style. This is who he is, and he continues to prove that it works. Andre Iguodala: One of the great things about Team USA is that it allows very good players to focus on one or two aspects of their considerable talents and carry them out to the best of their abilities. On this team, Iguodala had to do little more than defend perimeter scorers really, really well and use his elite athleticism to run and score in transition. Iguodala did these things well and he's going to get more attention as one of the NBA's best defenders, as he should. What makes this development interesting is that he was traded in the middle of the Olympics to a Denver Nuggets team likely to employ him in a beefed-up version of this same role. With their fantastic depth and interest in playing a fast tempo, Iguodala can do what he did for Team USA with more minutes and a larger share of the scoring load. While he did similar things with the Philadelphia 76ers, Doug Collins was more concerned with playing a slower tempo and figured to lean on Iguodala for more points with the departure of leading scorer Louis Williams. In Denver, Iguodala will have the freedom to do what he does best without being saddled with quite so many expectations. This tournament provided a template for that role, and we can now read what he does for the Nuggets with this experience in mind. James Harden: Harden wasn't exactly a giant killer for this team — along with Anthony Davis, he played primarily in the fourth quarters of blowouts and played less than one minute of the final against Spain. 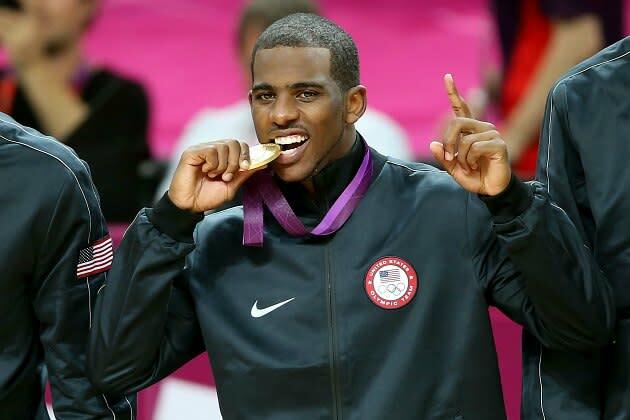 Nevertheless, a gold medal confers a certain amount of prestige upon a player, and that accomplishment can only help Harden as he negotiates a contract with the Oklahoma City Thunder ahead of his pending free agency next summer. He was already very likely to earn a max-level offer on the open market, but this piece of hardware makes it a virtual certainty. That's bad news for OKC as they look towards future salary cap figures and great news for Harden as he moves up another stratum in the league's hierarchy. Anthony Davis: It's no secret that Team USA entered the Olympics with little depth inside, but expectations for Davis were very low regardless. As we thought, he played few minutes outside of mop-up duty and even suffered the characteristically rookie mistake of forgetting his jersey for an entire half of a game. Yet, because we are now conditioned to read the national team experience as a sort of month-long conference where great players exchange ideas and skills, Davis might have learned quite a bit from his time with these veteran teammates. At the very least, we can now look at whatever success he has with the New Orleans Hornets next season through the lens of his Team USA experience, as if it provided a stellar foundation for what many already thought would be a career of stardom. That might not be entirely fair to the skills and talent Davis already has, but this was the first time we watched him in an NBA context. First impressions matter, as always.